My second child pretty much came out of the womb making eye-contact and BEGAN TO TALK shortly after she rolled over for the first time. Strangers on the street would peer into her baby carriage and then confidently pronounce, “She’s an old soul.” I would nod and agree with them, but I didn’t realize how true it was until the last day of our summer beach vacation to Cape Cod. My daughter, Nora, was two – and not two about to turn three, but two and could still taste the frosting from her last cake. Nora and I had stayed at the house while everyone else went to play miniature golf. The plan was they’d be back by three so we could all head to the beach for one last dip. By, four, they were nowhere in sight and I hadn’t heard from them, and to say I was agitated, was an understatement. I had no way of calling them because my iPhone had crapped out the day before and no way of getting to the beach on my own because I had a broken toe and couldn’t make the walk on my own. My only option was to wait for their return. As the one hour late, ticked into 90 minutes, I went from agitated to near-crazy. Nora noticed my mood and came over to put her hand on my knee. “Yes, we’re playing,” I said. “Because they promised they’d be back and I can’t even call them. So, here we are stuck in the yard, with nothing to play with except a hose, on the LAST day of our vacation and I just want to swim.” I explained this all to her, knowing in the back of my head, that I sounded embarrassingly close to a toddler about to have a temper tantrum. It was at that point, that a great, deep sense of shame tinged with amazement washed over me. I wished our interaction had been recorded because no one would have believed that my two-year-old essentially told me to live in the moment. My first instinct was to try to justify that indeed I had a right to be disgruntled. But when your kid, who only learned to walk six months before, throws down some guru-level philosophical reasoning, it’s pretty hard to argue. Now, she’s about to turn five. Hanging out with her can be oddly jarring, because in one second she’ll enlist you to role play Shimmer and Shine but the next she’ll be using Socratic Reasoning on you in order to get you to feel better. Not, that she can’t throw down a four-year-old tantrum like the best of them, but they never end quite like you’d expect. The other day we had a fight when she didn’t get what she wanted and I firmly, but kindly told her, I wasn’t going to change my mind. “If you’re trying to be the worst mother in the world, you’re doing a great job!” Nora said she she crossed her arms and stared me down. 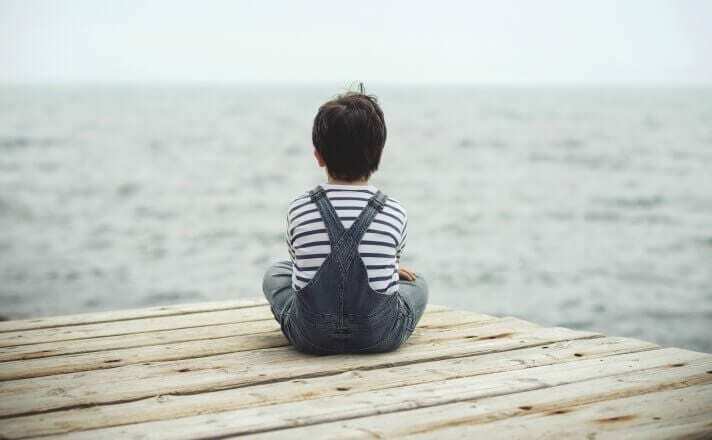 “I’m sorry you feel that way,” I said, fighting the urge to point out that the fact that she could even construct that sentence at four, belied her point. I do often apologize to my kids when I feel like I contribute to the argument, or speak in a way that I don’t feel is optimal parenting, but this time in question, I’d miraculously nailed it so I held my ground. “I’m actually not going to apologize because I didn’t act in any way I’m not proud of,” I said. Other times, when I get mad at her, her face crumples into a map of despair, as if I’d eviscerated her favorite stuffed animal and set it on fire. She’ll often start to sob and open her arms. While, I love this part of her, there’s also a danger in it. Having a kid that’s more articulate than my therapist means I tend to develop inappropriate expectations for her behavior and I have to remind myself that she’s actually just a little kid. When I was growing up, I always felt older than I was and adults often treated me that way, for better and worse. Just because a child can process adult emotions, doesn’t mean they don’t have kid needs too. I need to honor all parts of her. Just because she’ll stop to pat her Pre-K teacher on the arm and tell her, “I wanted to let you know that you’re doing a great job,” doesn’t mean she’ll pick up her toys without complaining. Simply because when her brother asks her for the rest of her ice-cream cone, she’ll frequently hand it over saying, “Sure, because I know how much you love it,” doesn’t mean she won’t also eat some fallen sprinkles off the floor. It’s important to let her go through all those maddening stages from collapsing with despair over a hole in a sock to having an accident because she forgets to go to the bathroom because the latest episode of Vampirina is just that good. As a parent, my job is to nurture those parts of her that are beyond her years but to never expect those parts to take center stage. She’s got plenty of time to be old, but only so much time to be young. Heather Osterman-Davis lives in New York City with her husband and two children where she attempts to balance creative and domestic endeavors. Housework is permanently losing. Some of her writing may be found in Time; Creative Nonfiction; River Teeth; Tin House; Parent.co; Literary Mama; Tribe; and Brain Child, among others. She also co-authored a short film, "Tell By Date," which is curently in post--production. So nice to read. My 4 yr old son talks to me just as you explained your daughter talks to you, and is often referred to as an old soul. Kids are absolutely amazing beings, and he melts my heart every day! 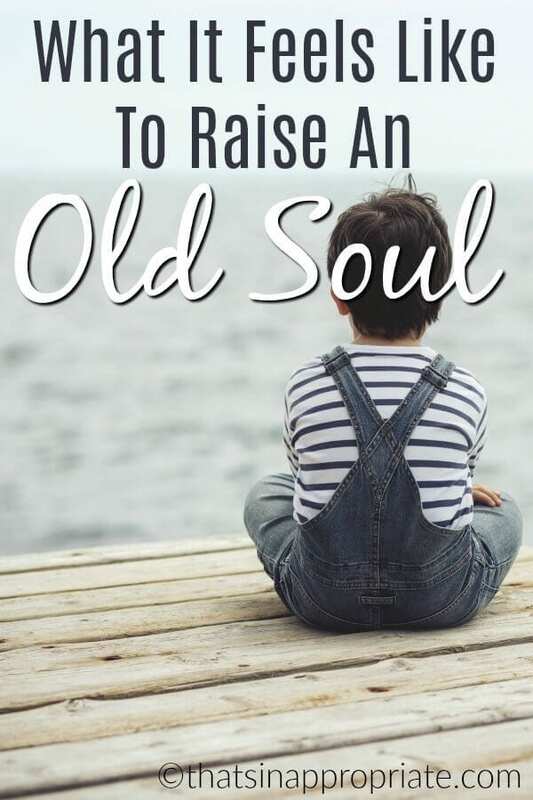 Do you ever wonder what time period they would be from if they were in fact an ‘old soul’? Some of the things he says really makes me think! Elise. Great question! I never really thought about time period though now of course I will. Where do you imagine your son might be from if he was from another period.